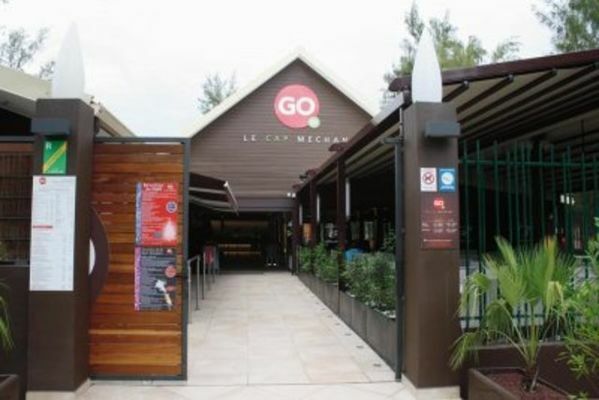 At Saint-Gilles-les-Bains, the Go By Le Cap Méchant restaurant, offers Creole and Chinese cuisine featuring a vast assortment of delicious dishes and gourmet buffet. There are nearly 25 menus to choose from, some of which had been prepared right under the eyes of clients. There are nearly 25 menus to choose from, some of which had been prepared right under the eyes of clients. The all you can eat buffet menu allows our clients to enjoy a great variety of Creole and Asian dishes, and discover the culinary richness of this mixed island. Kernel or chicken salad, shrimp skewers, chicken and duck magret, homemade sushi, sauté de mines, rougail saussage make up part of the buffet." The restaurant also provides a snack takeaway service intended to meet the needs of transient guests. A capacity of 300 seats inside. Restaurant open Tuesday to Saturday from 11.30 am to 2.30 pm and from 7.00 pm to 10 pm, Sunday from 11.30 am to 2.30 pm. Closed Sunday evening and all day Monday.